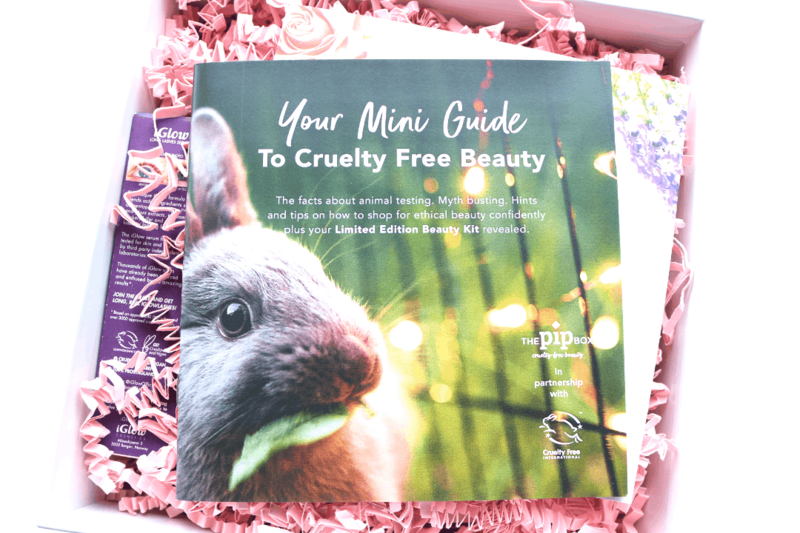 If one of your New Year’s resolutions is to go cruelty-free, The Pip Box‘s brand new Limited Edition Cruelty-Free Kit is the perfect way to do it! Specially created in partnership with Cruelty-Free International, the kit is packed full of beauty essentials such as shower gel, plastic-free shampoo, natural deodorant, luxury skincare, makeup treats and much more. The Limited Edition Cruelty-Free Kit is on sale now for just £40 (saving you over £70!) 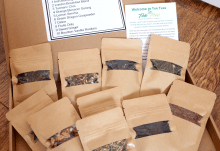 and The Pip Box will deliver it straight to your doorstep for free (UK only, rest of Europe just add £1.50 delivery). As an added bonus, 25% of all profits will be donated to Cruelty-Free International to help end animal testing globally which is fantastic to see. Excited to find out more? Keep on reading to discover what’s inside! 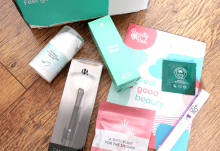 Opening up the large white box, I was pleased to see a Mini Guide to Cruelty-Free Beauty which explains what to look out for when you’re shopping for your makeup and toiletries. At the back, it also details all of the products that you’ll find inside this kit with stockist links to help introduce you to a whole range of cruelty-free brands. The first product that I picked up is one of the most luxurious beauty treats in the box and it comes presented beautifully in an elegant glass bottle. From the London based skincare brand Keweko, this Refreshing Toner has been developed by hair and makeup artist Kerstin Weller to instantly perk up tired skin and give it a glow. Certified cruelty-free and organic, I’m looking forward to trying it out. 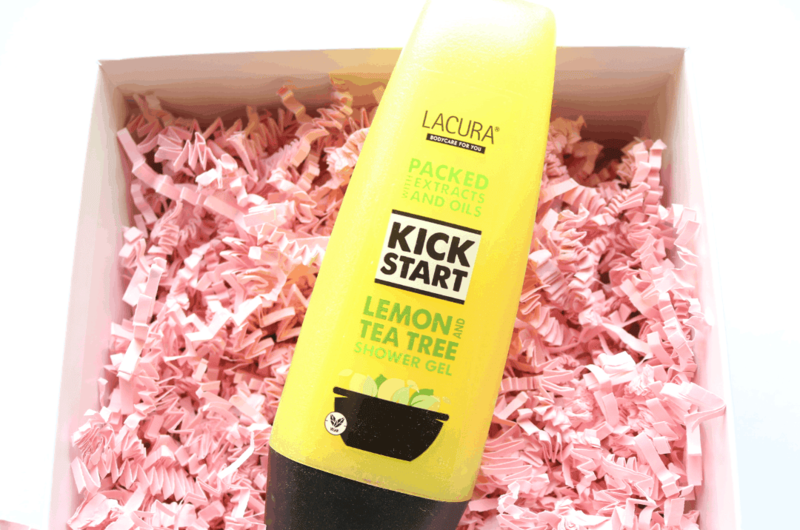 Next up, I found a bottle of Lacura Lemon & Tea Tree Shower Gel which is from Aldi’s own brand range, all of which is certified cruelty-free and suitable for vegetarians and vegans too. It’s a lovely uplifting and zesty shower gel to start your day with and only costs 55p – what a bargain! 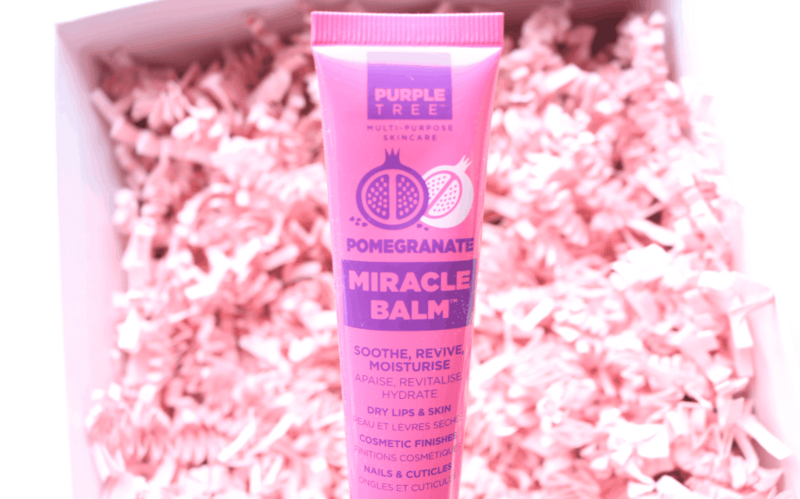 I haven’t heard of this brand before, but this miracle balm is a really useful product to have in your handbag or skincare stash as you can use it for lots of different things. Formulated with Pomegranate Oil, it moisturises and protects dry, cracked and irritated skin and can be used on any dry skin area as well as for chapped lips. Switching to a natural deodorant is a great way to support cruelty-free brands as many deodorants that you find in the shops are unfortunately still tested on animals. 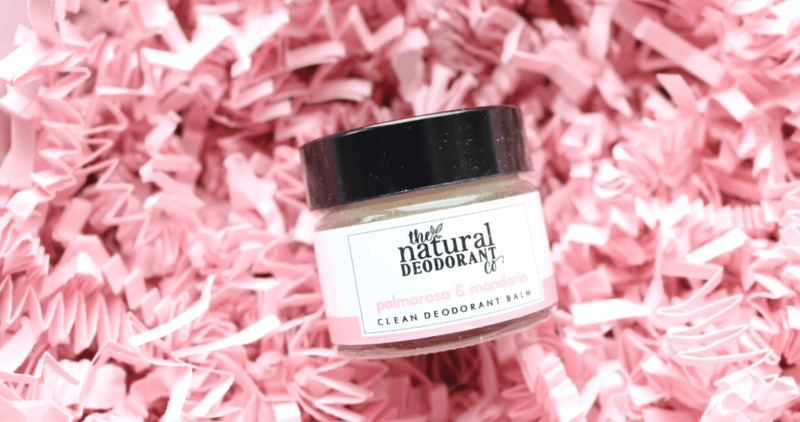 Instead, you can use a completely natural and cruelty-free product like this one from The Natural Deodorant Co. Their Clean Deodorant Balm features antibacterial Magnesium and Sodium Bicarbonate to keep body odour at bay, whilst Coconut Oil and Shea Butter soothe and nourish the delicate underarm area. 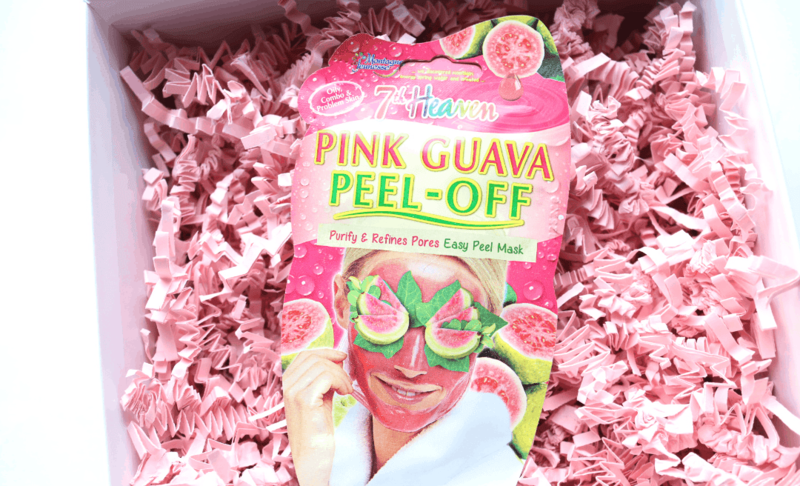 A favourite amongst young girls and teens for sleepover parties, 7th Heaven offer affordable pampering treats and this is one of their newest products. Packed full of antioxidant rich ingredients including Vitamin C, Mangosteen and Guava extracts, this peel-off mask will remove dull dead skin, revealing a much brighter and smoother complexion within minutes! 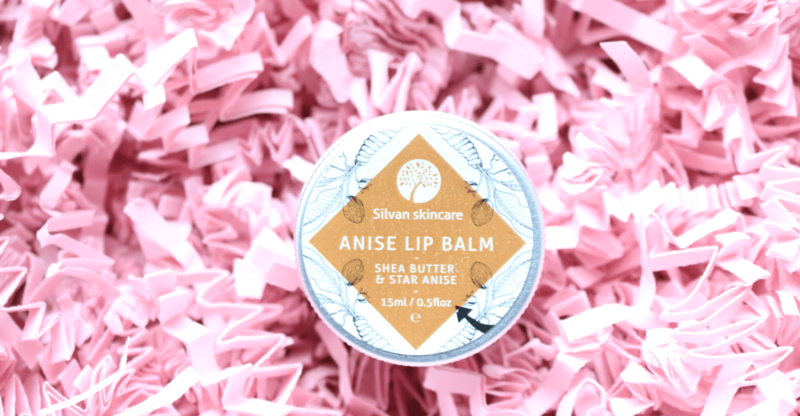 This beautiful vegan lip balm from Silvan Skincare is made with Shea Butter, Jojoba, Olive and Apricot Oils, as well as Star Anise and Sweet Orange essential oils, to deeply nourish and moisturise dry and chapped lips. Featuring the highest quality organic ingredients and sustainably sourced plant-based ingredients, this is definitely a brand to look further into. 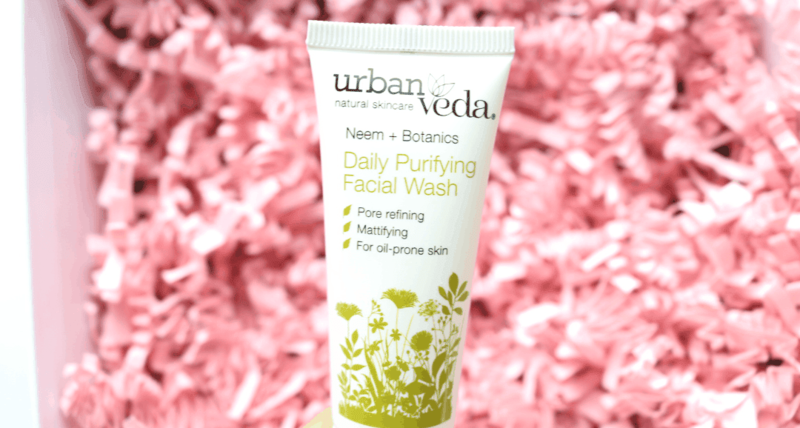 With a gentle formula that won’t strip or dry out your skin, this Daily Purifying Face Wash is ideal for oilier skin types who struggle with excess sebum. It helps to refine the pores making them look smaller and mattifies your complexion for a flawlessly smooth finish. 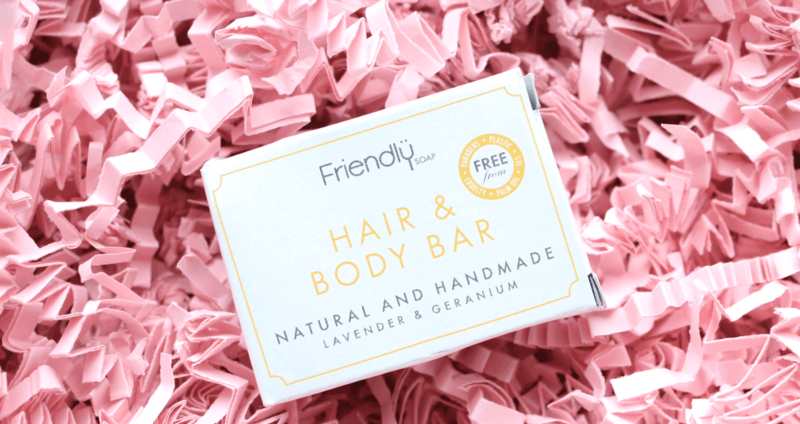 This cute little Hair & Body Bar is an all-natural handmade, plastic-free alternative to mainstream liquid shampoo and shower gels. Free from Palm Oil and a long list of ‘nasties’ such as Sulphates and Parabens, this eco-friendly product is handy to travel with and promotes healthy hair growth, as well as gently cleansing the body. Genius! 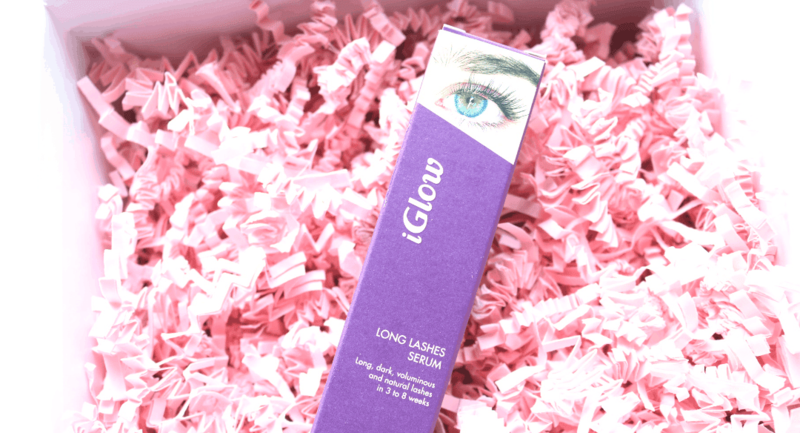 Worth £53 on its own, the iGlow Long Lashes Serum promises to deliver longer looking and healthier lashes in just 3-12 weeks of daily use. I’m very interested in this product to see if it will work so I’m looking forward to giving it a go shortly! 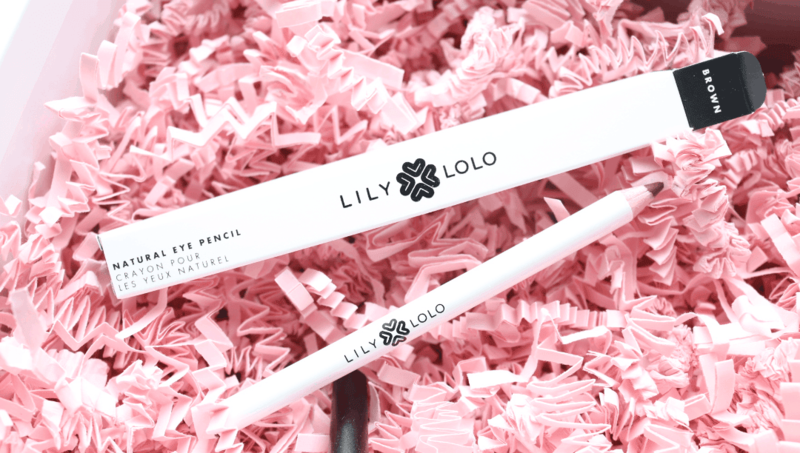 Lily Lolo is one of my favourite British cruelty-free makeup brands and I use several of their products on a regular basis. This Natural Eye Pencil in the shade Brown has a really nice smooth and creamy consistency that doesn’t pull or drag on the delicate eye area and it has brilliant pigmentation. If you didn’t already know, Primark’s own brand range of makeup and skincare is completely cruelty-free – hooray! 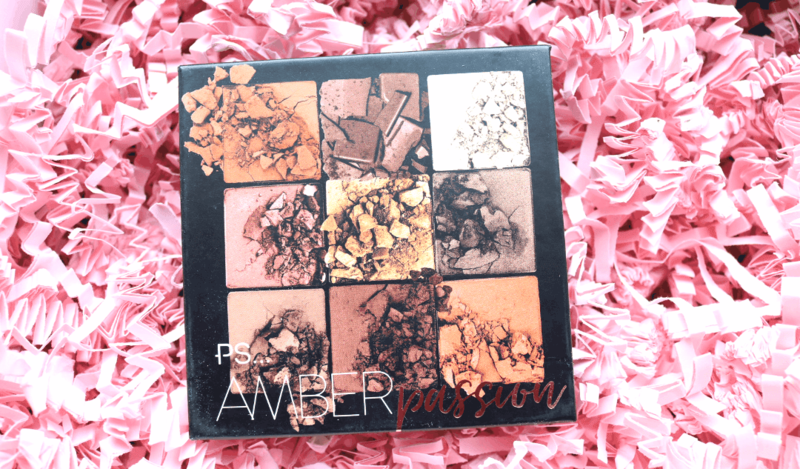 This cute little eyeshadow palette features nine shades with a great mix of colours in a range of different mattes, shimmers and metallic finishes. I particularly love Aura, Solar, Glory and Illusion! 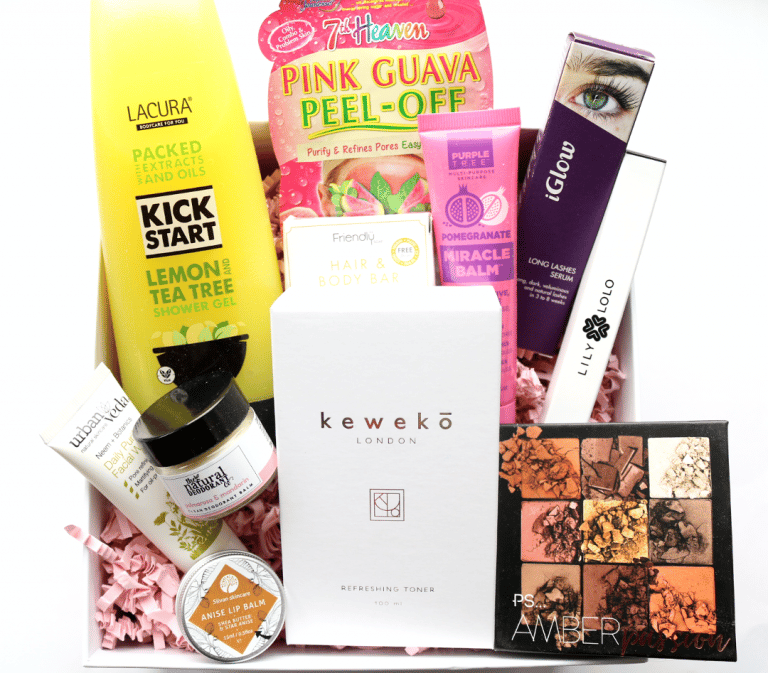 Wow what an amazing box of cruelty-free makeup and skincare! 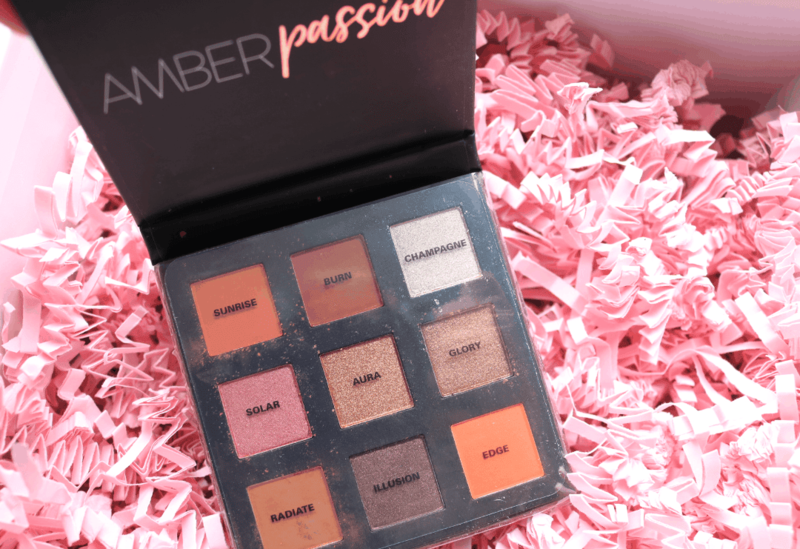 This is a must-have for anyone who loves their beauty products and it's a fantastic way to start off 2019! 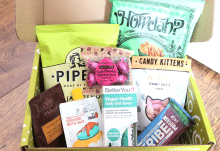 How would you rate The Pip Box ?